You are invited as our guest to come network with 200 other business owners/contacts for free. Come for food, fun, and conversation! 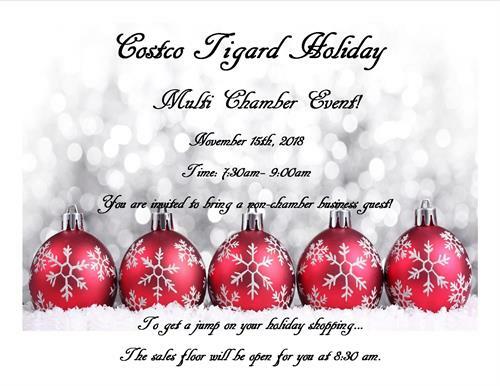 Afterwards, you'll be able to shop before Costco opens (no crowds). It all starts November 15, 2018 at 7:30AM.